BECOME A WILD SISTER TODAY! I am SO so SO so SOOOOOo EXCITED!! A WILD SISTER, YOU ASK? I have discovered something so absolutely life changing, and exciting, and I am SOOOOO happy and honored to be representing this new tribe of women! It just makes you feel SO EMPOWERED on a daily basis! I have never found a more positive haven than this. It is an E-Mag and Social Network unlike any other! JUST FOR WOMEN! No Boys Allowed :-X ! 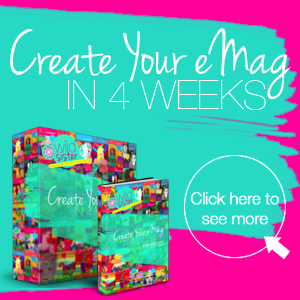 With over 30 COLORFUL and vibrantly INSPIRING issues to flip through, these E-mags contain articles from artists, storytellers, creative and intuitive healers, lovers, fighters, life coaches, you name it, it's there! This E-Mag is a true gem, that I just so happened upon and I truly believe it was fate! I have found a new home, a safe haven to create and talk about creating with my fellow women! The site is also filled with other goodies such as daily affirmation cards, E-courses, and Social Network complete with a LIVE chat room, The WILD SISTERHOOD is designed to be a support group for women of all walks of life. The creative soul, the hippie chick, the voice inside all of us that tells us we need to RUN FREE AND BE WILD!! Are you ready to nourish your soul with wildness, inspiration + sisterhood? Step into your power with a tribe of Wild Sisters cheering you on every step of the way! Are you ready to love yourself, follow your bliss and change the world? 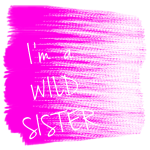 BECOME A WILD SISTER TODAY!! !